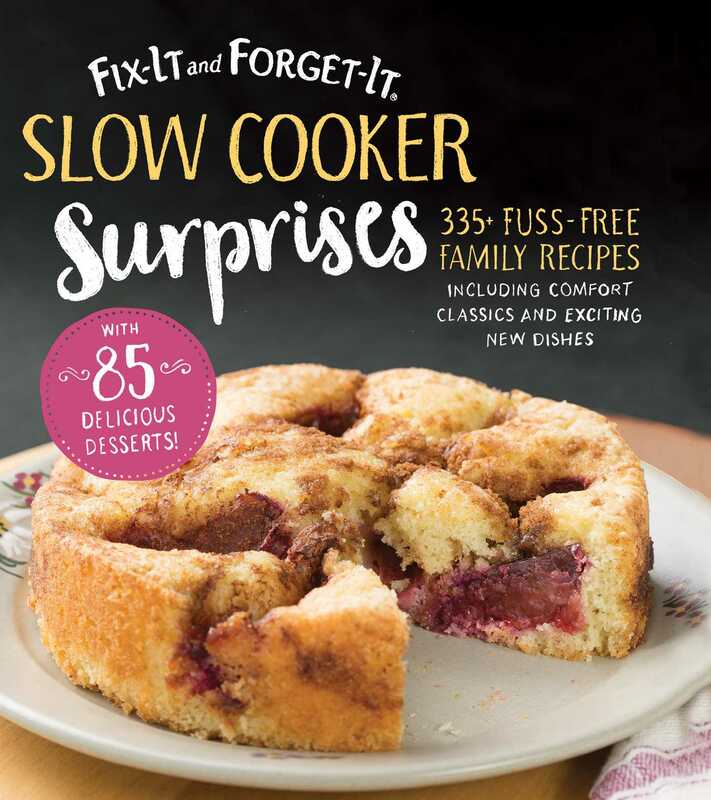 Super Easy Delicious Slow Cooker Recipes from the New York Times bestselling Fix-It and Forget-It series! The beloved Fix-It and Forget-It series has sold nearly 11 million copies, giving home cooks around the world exactly what they crave—recipes for delicious, satisfying meals that anyone can make with simple ingredients and minimal preparation time. Who doesn’t love being able to serve their family a wholesome dinner (and dessert!) without spending hours in the kitchen—or a fortune on groceries? Packed with more than 325 delicious casseroles, soups, and stews, Fix-It and Forget-It Slow Cooker Surprises goes beyond classic fare. Here you'll also find recipes for burgers meat loaves, flaky pies, moist breads, soft and chewy cookies, crispy pizzas, and more. And you won't ever have to turn on the oven. There are reasons why the Fix-It and Forget-It series is so popular, and this latest book is no exception. Each page is packed with easy-to-follow, carefully tested recipes. No one has enough time these days—with a slow cooker, anyone can prepare a fantastic meal in minutes! The recipes use ingredients most people already have in their cupboards—no searching high and low for exotic foods that will break the bank. With more than 100 full-color photographs and a price that’s tough to beat, this is destined to become a staple on home cooks’ shelves everywhere.